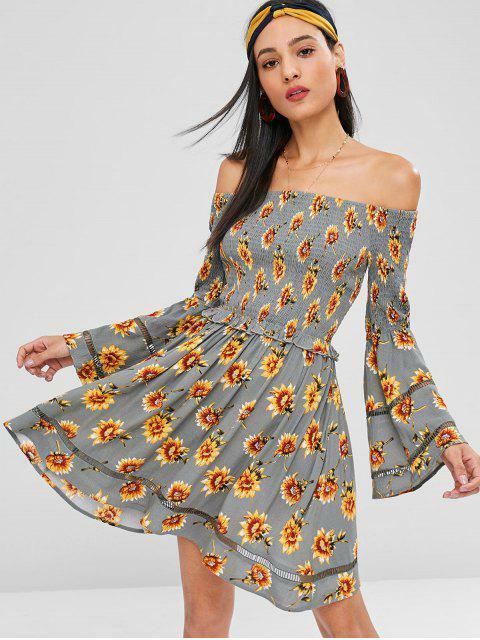 [41% OFF] 2019 Flare Sleeve Floral Smocked Flowy Dress In BATTLESHIP GRAY | ZAFUL ..
It’s just as pictured! Very cute, and flowy. Super comfortable as well! 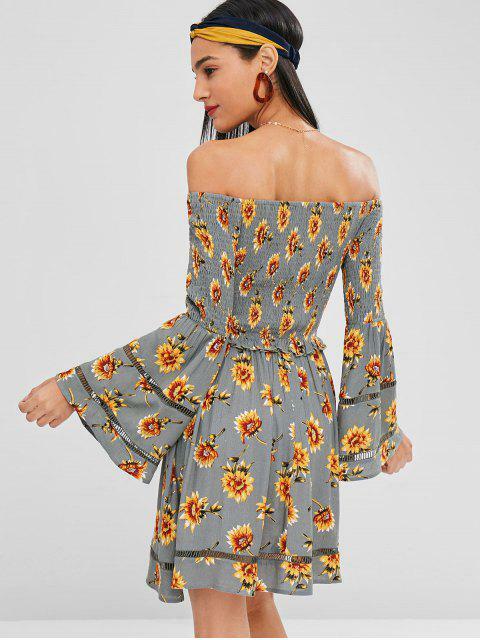 Great enough to show off your foxy curves, this flowy casual dress is the dream one you are looking for the coming vacations. 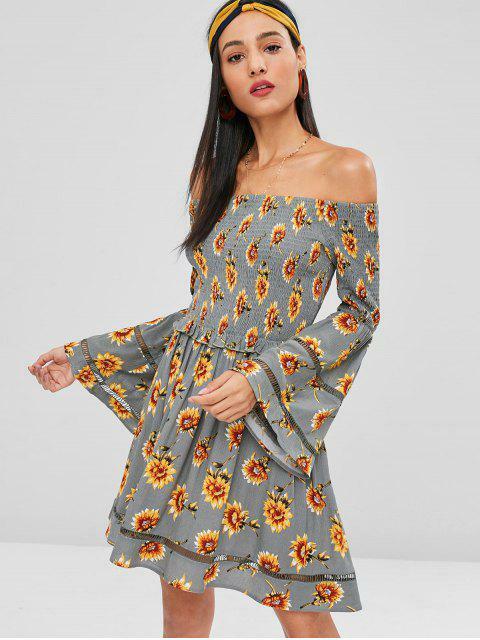 Crafted from beautiful floral all over to sway with your every move, this mini dress has a flirty off-the-shoulder collarline to flaunt your pretty collarbone, flared long sleeves with openwork details, and a high-rise waist designed with frilled details. The smocked fabric of the upper half is stretchy that you will feel comfortable to wear.